But for me, it’s never been about picking sides. It’s about finding something to like about every restaurant I go to. 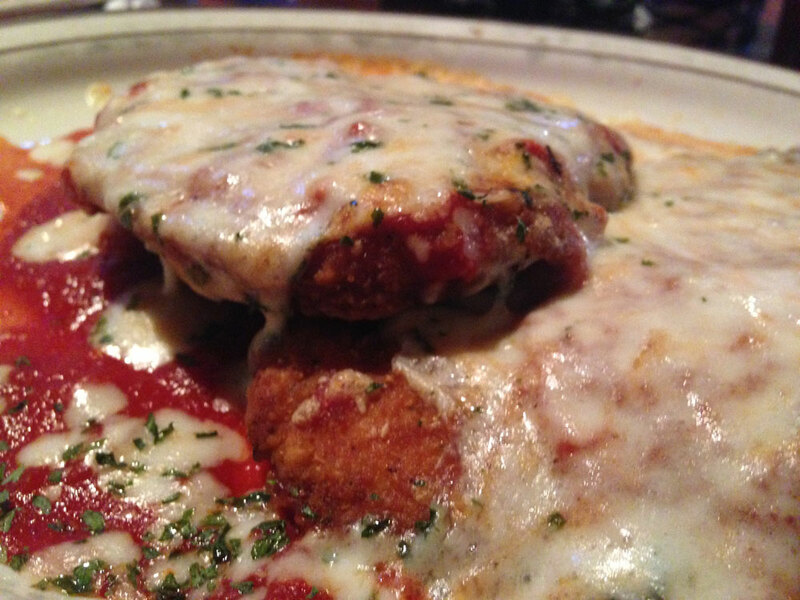 This week, I found more than a little something to like at the Westy Bar & Grill in Hamburg. 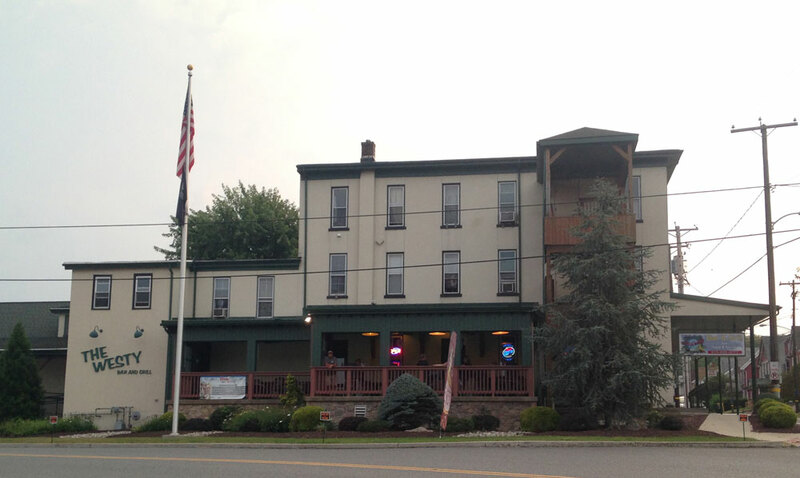 The Westy is actually located in West Hamburg, across the river from the downtown. It had been years since I was there, and I forgot just how big it was. The building is three floors tall (apartments, I assume, fill up the top two floors) and there are three separate dining spaces. We were seated in the largest room, at a small table near the bar. 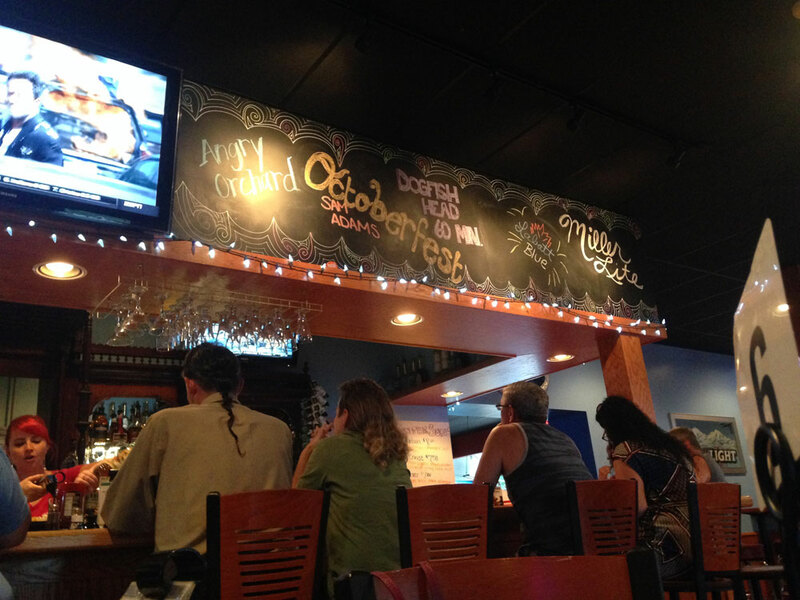 The current draft list was artfully written on a chalkboard above the bar stools—about 20 of them, and nearly all filled. Despite the bar, the restaurant feels more like a diner, with number cards on every table and an expansive menu that includes fried apps, burgers, salads, subs, entrees and more. 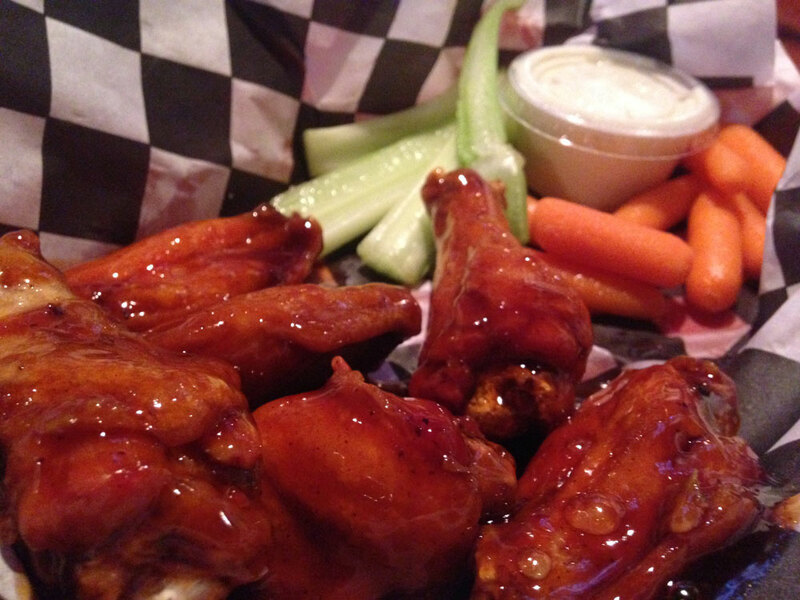 One of the things that came highly recommended to us was the Westy’s wings. The Westy has more than 20 flavors to choose from. Most of them are standards like mild, BBQ, ranch and honey mustard. But there are a few that are a little different. Sriracha, red chili and something called “boom boom” sounded a little too intense for us, but the kickin’ bourbon molasses sounded perfect. Dripping in reddish brown sauce, the wings looked amazing when our waiter set them in front of us. The first bite confirmed that they tasted as good as they looked. Each bite took me on a mini flavor journey. First came the sweetness of the molasses, then the unmistakable hint of bourbon, finished with a mild after burn. 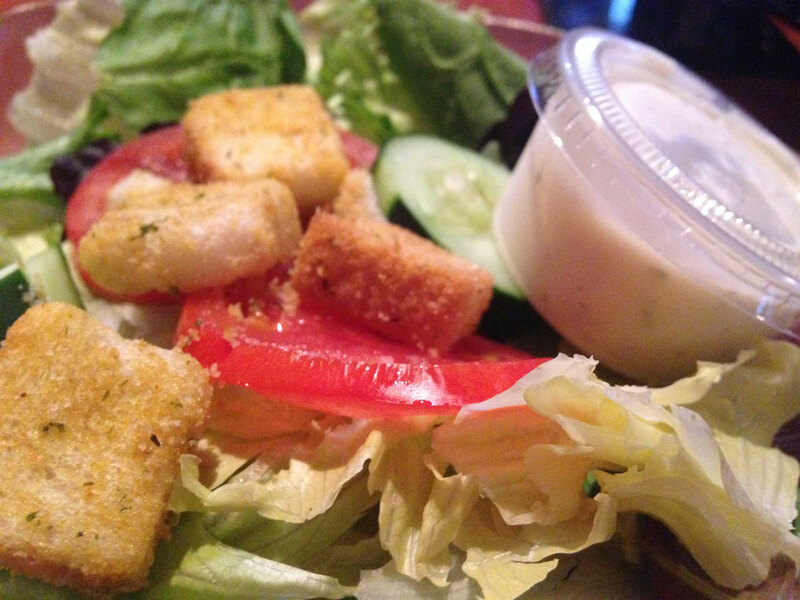 The heat wasn’t overbearing, but I was still glad to have a cup of ranch dressing with my salad for a little cool relief when I was done. It was not an exaggeration. If anything, he undersold it because beneath the pool of red and white was not one, but two six-inch chicken breasts fried to a golden brown, waiting to be uncovered. 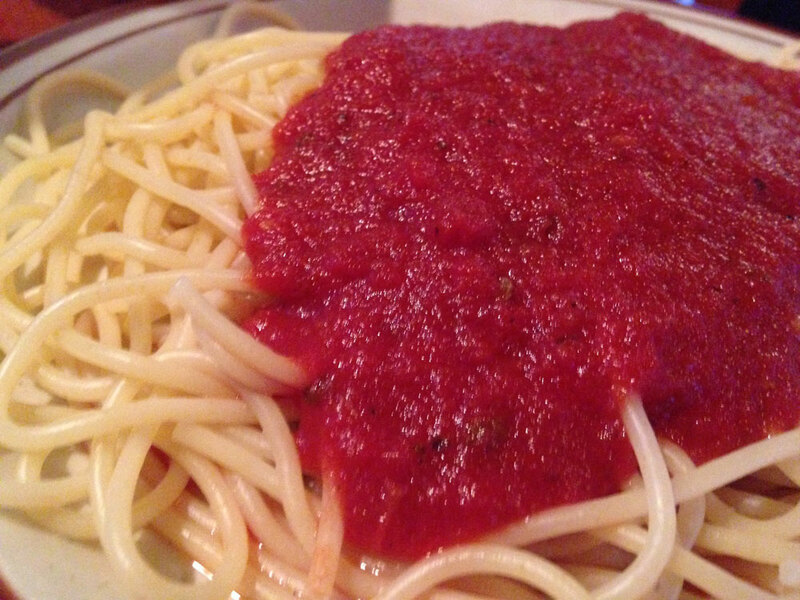 I knew I was never going to be able to finish both, especially with a plate of spaghetti waiting on the side. While I was eating an Italian dinner, the Westy is not an Italian restaurant. That doesn’t make it any less enjoyable. The fried chicken was delicious, the bright red sauce was beautiful, though it was a little runnier than an Italian restaurant. And the cheese—so much cheese—covered everything, ensuring it was in every bite. Just as the Westy is not an Italian restaurant, it’s also not a Mexican restaurant. 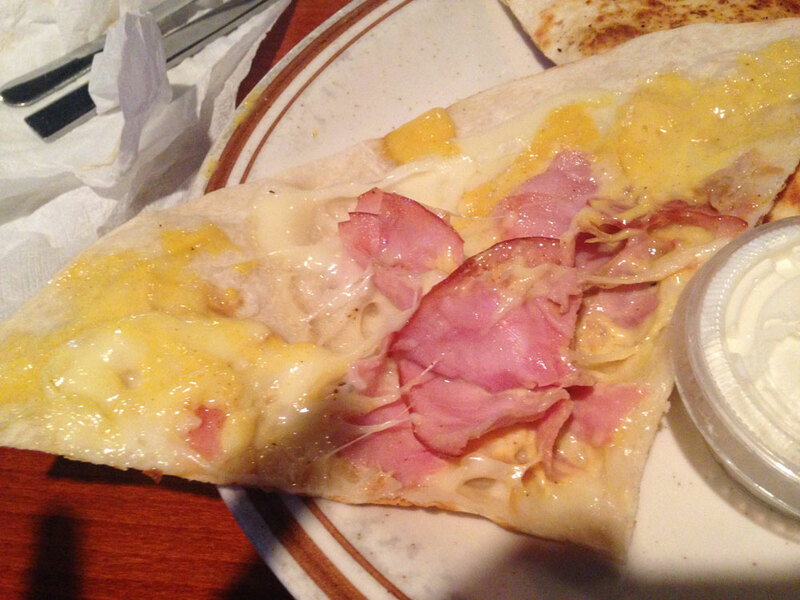 But that didn’t make Julie’s Cuban quesadilla any less enjoyable either. The half moon on her plate was filled with pulled pork, ham, honey mustard and Swiss cheese. 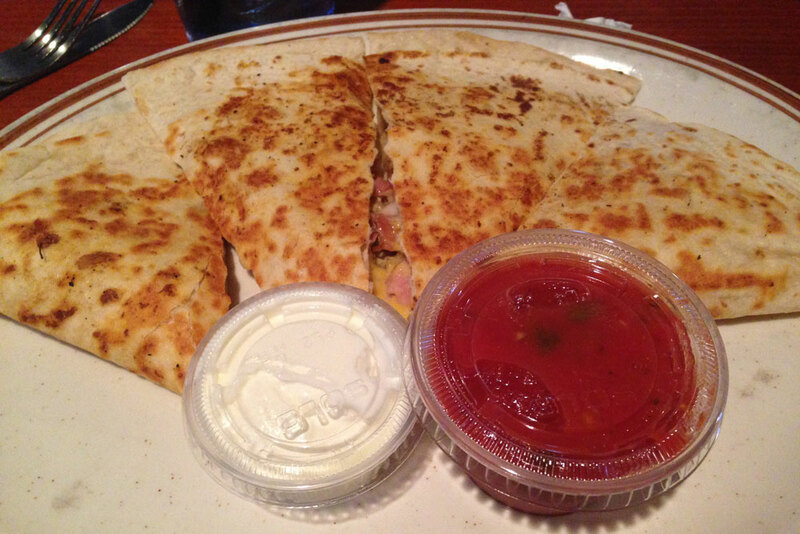 The quesadilla was a little inconsistent as some slices had more ham, some had more pulled pork. But the honey mustard was consistent, adding a sweetness throughout. Even with a full chicken breast set aside to take home, there was no way either of us could force any dessert. Our final total came in at $32, nearly exactly what we spent at Cafe Sweet Street. But it’s impossible to compare the two meals: one was a gourmet lunch with dessert, the other a hearty dinner with an appetizer. When it comes to any restaurant, it’s best to let it stand on its own merits. The Westy provided very good food, and a lot of it. And with a large menu to choose from, it won’t be hard to find something to like.